This is a post for all fundraiser and ED friends in the social change world. The GIFT Conference only happens every other year… where do you get your fundraising recharge time in the meantime? Heather from the Vermont Workers' Center and I have been thinking about how awesome is would be to convene a retreat for people charged with leading fundraising in social change organizations. Development staff, Executive Directors, even super volunteers. Anyone who is really holding the huge job of managing fundraising efforts for a social change organization with an anti-capitalist bent. Do you ever feel like there are not many places where you can learn from other fundraisers? We envision a space where a small group of us (10 or less) can explore what it means to raise money in organizations that see capitalism as a root cause of problems for people and the planet. An organization that’s committed to building collective power among those who aren’t wealthy. 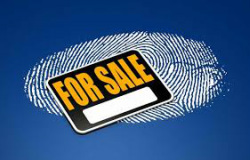 Can you raise money without compromising your values? If this piques your interest, please fill out the survey linked below. We are hoping to hold the first retreat in New England this fall and if there's interest/energy hold more around the country! Thanks to my partner for inspiration for this blog post. "Hey sweet-cakes, want to help me bathe the cat tomorrow night?" "I might be willing to do that." What does that mean? Maybe you will help, maybe you won't. That doesn't give me any intel on whether you are willing to hold down the cat while I pour the evil of evils (water) over her. I dislike the word "might." I dislike it because it's meaningless. When I read grant proposals, appeals, or other fundraising writing, I seek to root out meaningless language. If I'm not reading with this in mind, I don't even notice it. It takes concerted effort to edit writing for meaning. Meaningless language has invaded our lives. Are there words or phrases that you find meaningless? Please share in the comments. Check out this hour-long interview with Aril Consulting Founder Valerie Costa to learn about her decision to start Aril Consulting, vision for its future, and other ideas that are brewing. If you can make it past the first 10 minutes of "umms" it gets much better! Here's the link to the site where you can stream the podcast. Or you can download on iTunes by searching for Visionary Vocations podcast, episode 5. For the perfect cup, you have to work year-round. 1. There’s a lot more than meets the eye. Most people don’t understand that the process is complex, let alone have an idea of the steps. If you’re like 83% of Americans, you enjoy a cup of coffee most mornings. 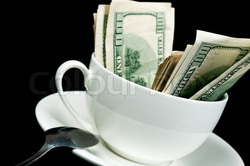 And though you probably don’t think about it much, you assume that you know where that coffee comes from. But, did you know that a crucial step of your Starbucks latte is a 3-day fermentation? Or that it takes 8 pounds of raw coffee beans to make one pound of coffee? How about that each of those coffee beans was picked by hand (or should have been)? Similarly, most people assume they have a general understanding of fundraising—it’s asking people for money, right? But in truth, the process is much more complex and detailed then most of us believe. 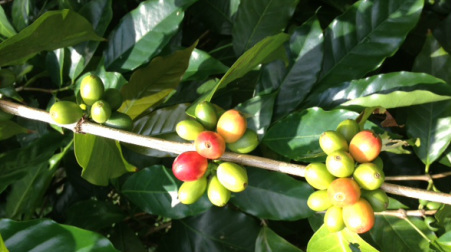 It takes five years for a coffee tree to produce fruit. Similarly, you need to spend time cultivating donors long before you ask them for money. Whether you’re growing coffee or developing a relationship with a donor, realize that you are going to have to put it a lot of hours before you see the pay-off. 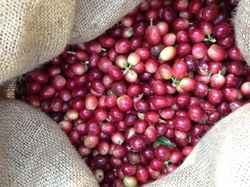 Coffee cherry on the tree--red is ripe, but don't pick the green! 3. You have to pick at exactly the right time. Coffee cherry ripens sporadically—on any given branch, individual beans can ripen over a period of 3-4 months. On the branch below, you can see unripe (green) cherry, perfectly ripe (red) cherry, and overripe (shriveled, dark) cherry. To get the best cup of coffee, you want to pick only the red beans. And to make sure you harvest red beans, you need to check back regularly—up to once a week in peak season. That means looking at every branch, on every tree, every week, to see who is ready. 4. The more time you spend tending the crop, the more and bigger beans you get. Sure, you can ignore your trees year round and just head out when the beans start to turn red. You’ll get some coffee. But your trees may be dried out, or undernourished. They could be taken over by vines, or a pesky bug may have eaten all the coffee before you got there. A few trees will have died, and a few more will be sick enough to die next year. Similarly, you can ignore your donors year round, and send them an annual appeal letter at Christmas. Some of them will still give. You’ll get some money. But you won’t get as many gifts, or as big of gifts. Your donor pool—your coffee orchard—won’t be as healthy. Another organization might have flown in and asked while you weren't paying attention. You’ll lose a few this year, and a few more next year, until you’re scratching your head wondering why you have to have tea for breakfast. 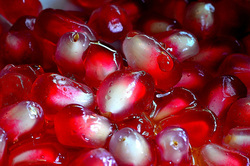 On the other hand, fertilizing your trees can increase yield by an amazing amount. Similarly, you need to fertilize your donors. Send them a thank you. Email them a personal invitation to an event. Mail them updates on your programs. And when you send that appeal come December, you’ll have a whole orchard of healthy donors. NOTE: I (Val) had the pleasure of working with Donna for a few years at Senior Services. We were all learning on the job but the thing that has always stuck with me is Donna's authentic and loving interaction with donors. We did a lot of direct mail at the time and Donna took her role as primary contact for thousands of donors to heart. She's written a blog post about why it's important to value all of your donors. There are noteworthy individuals in society whose particular genius is explaining what should be obvious. These synthesizers explain the mechanics of processes and situations that baffle the less aware. Once we hear or read the explanation of, e.g., why one product succeeds and another fails, or why some people become criminals and others do not, we immediately recognize the truth in it. It was there all along, but we were looking at trees; the synthesizer saw how those trees made up the forest, and described the forest so we could see it too. Successful businesses have that overview of the “forest” while still attending to the individual “trees.” Without it, their enterprise will suffer. Excellent customer service—the kind which does not repeat a memorized script, but actually listens to the customer’s comment—sets a company apart from its competitors and helps it thrive even if their product is comparable to many competitors. The same is true for nonprofits. An ability to keep the overall purpose and goal in mind and still attend to the details is critical. 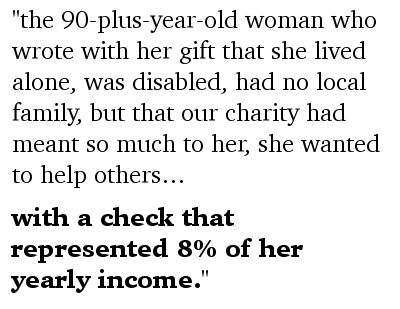 the 90-plus-year-old woman who wrote with her gift that she lived alone, was disabled, had no local family, but that our charity had meant so much to her, she wanted to help others…with a check that represented 8% of her yearly income. It may seem to be a luxury for a small non-profit to assign one person to shepherd small donors. What their gifts contribute to the overall bottom line is statistically insignificant, and the need for large gifts—and attention to these donors—is critical. But often overlooked is the small donor’s own need to be a giver, not simply a taker. Unfortunately the value of good will in the extended community that is reaped from many very small gifts is not possible to calculate and report. To each of those small donors, however, the dignity the nonprofit affords them with prompt and genuine thanks, assurance of their importance to the overall mission, and simple affirmation of their own value, means much more than the financial boost they provide. 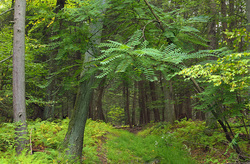 In this way, the nonprofit sees the trees and the forest. Donna is the owner of Edit Proof Writing, a proofreading and administrative support consulting business. You can reach her at editproofwriting (at) hotmail.com. Post on Facebook that you are trying to raise $1,000 by the end of the month and the donors will just fly in. Don't just post your goal and progress toward it. Post photos of yourself training. Share why you care and why you are raising money. Post photos related to the cause that you're supporting. In all likelihood, a lot of your friends are part of larger social groups. One friend in a social group makes a donation to your cause, and it will inspire others in that network to give. By thanking your donor friend on Facebook you are not only honoring that person but you are reminding your other friends about your campaign. The reason why people don't give the first time they are asked is not because they don't want to give to your campaign. It's usually because they read the email at a bad time, saw it on their phone, or want to wait til payday to donate. If you tag people on Facebook you are reminding them to give in another way. I like to think of this as a stronger nudge and usually try other methods first to get a yes or no answer. During my last campaign I promised everyone who gave a custom piece of digital art. I am still working on it (I haven't forgotten!!!) but when I do finish a piece, I post on Facebook and tag my friend. I started doing this during my campaign and believe that some people gave a gift because they were also curious about the art I'd create for them. From my personal experience, the vast majority of donations I've received via crowdfunding have come from personal emails or in person asks. However, about 15% of my past donors gave in response to the Facebook posts. These were people I didn't ask via email in the first place. Don't forget social media but also, don't rely on it to help you reach your goal. In marketing terms, a multi-channel approach is best! 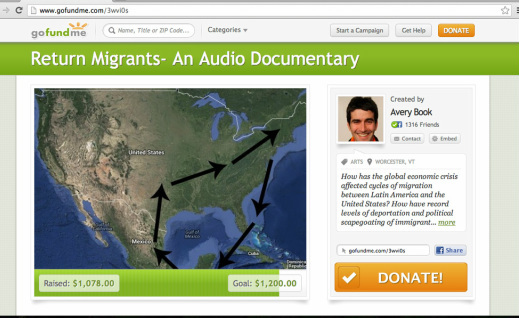 Successful crowdfunding is storytelling. Like effective short story writing, I’ve found I’ve been most effective when I was personal about my connection to the cause I’m raising money for, vivid in the multi-sensory and emotional details of some of my memories of and feelings about that cause, and most importantly, cast my network as characters in the story. I draw on my history and connection with that friend, relative, or colleague, highlighting shared experiences and worldview formation. I acknowledge and affirm people who’ve already given, to model the ways in which they’ve become part of the story, part of making it happen. I emphasize how essential their support is. It’s important to establish a good flow in terms of frequency and type of ask. The first thing I’ll do at the beginning of any crowdfunding campaign (after creating my online profile) is to put together my list of potential supporters. Make this list as broad as possible, including people who’ve supported you in the past and people who’ve never given. In the first email, express a few key things: what you’re raising money for, why it’s important to you, and why their support is important to the cause and to you. After sending out the initial mass email, create a plan for individual follow up emails. It’s fine to copy and paste some content, but it’s really worth the time it takes to personalize it, and to engage the real relationship you have with that person. Over time, you’ll get a sense of what medium is the best for making the ask to particular friends and relations: some people respond to an email, others to a chat, others to a social media contact. Remember that unless someone explicitly tells you that can’t or won’t give, it’s worth contacting them until they do respond. If possible, wait until a few people have given before sending another mass email (then you can build a sense of momentum and excitement). The ask needs to be very direct: “Can you support this campaign?” People are most likely to feel compelled to respond if they’re actually asked, rather than just implying the ask. Be smart about your targeting: if it’s a mass email, I’ll always emphasize that ANY amount will help, and that no donation is too small. Sometimes, people feel embarrassed about giving a small amount, but most of my successful crowdfunding campaigns have been built of dozens of small donations($10, $25, $50). I just raised $1,078 from 45 donors--with an average donation of $23.96 and only one donation over $50. Be sure to promptly thank people after they donate. I usually send a personal email (to communicate that I really do care and that our relationship is worth a private thank you note) and post a thank you on Facebook (so they can get the public recognition). A very important piece of the thank you is the Second Ask: "Thanks again! Also, could you please forward this to friends you think would be supportive, or post and tag on Facebook? That would be a really helpful way to spread it beyond my immediate network." People have signed up, set goals, and put up their fundraising pages. You're done, right? So much of the fundraiser role--which I often equate to the role of an organizer in grassroots organizations--is that of a cheerleader. You did your job and convinced a whole group of people to raise money for your organization. But they will still need lots of support, especially in your first year. Here are some rules to live by. 1) People don't like the idea of raising money. Crowdfunding makes it a little more palatable, but when the time comes to ask friends, family, and others for a donation, people have a tendency to procrastinate. 2) People can and will get discouraged if they send out an email or put one post on Facebook and don't get many donations. Grab your pom poms and lead by example! Get a head start on your fundraising: Set a goal for yourself to start early, so other team members can be inspired by your successes. Share your email ask with the team and encourage others to share theirs: demonstrate how the more personal the ask, the better. I always preface all of my asks with a personal note. Check-in with everyone individually: 3 weeks before the event, call everyone on your team. Ask them how it's going and if they want to talk through their fundraising strategy. Post fundraising best practices and tips online: and remind your team where they are. Create pledge sheets for people who prefer to ask people offline: there's a generational difference here too - I've found that younger generations prefer to make their asks online and older generations tend to do more asking in person. Don't push too hard: you want your team to enjoy this experience, so they'll want to do it again next year. Celebrate the successes, even if they are small. Have you done this before? Do you have tips for blog readers? Please post in the comment box below!